Being an athlete is as much about appearance as it is about winning the match. You must be in top form at all times, which includes everything from what you eat to what you wear. Fans in the stadium are watching you, noting everything. Looking your best in your uniform speaks volumes to your close attention to detail. You never want to look sloppy when you are all set to take the winning shot that wins the match. One of the most visible parts of the uniform is the collar. Keeping the collar straight and crisp looking provides that professional appearance that says “I’m the best at what I do”. So how do the pros do it? Sports Collar Stays by Hulas is how. Why Should You Buy Sports Collar Stays by Hulas? 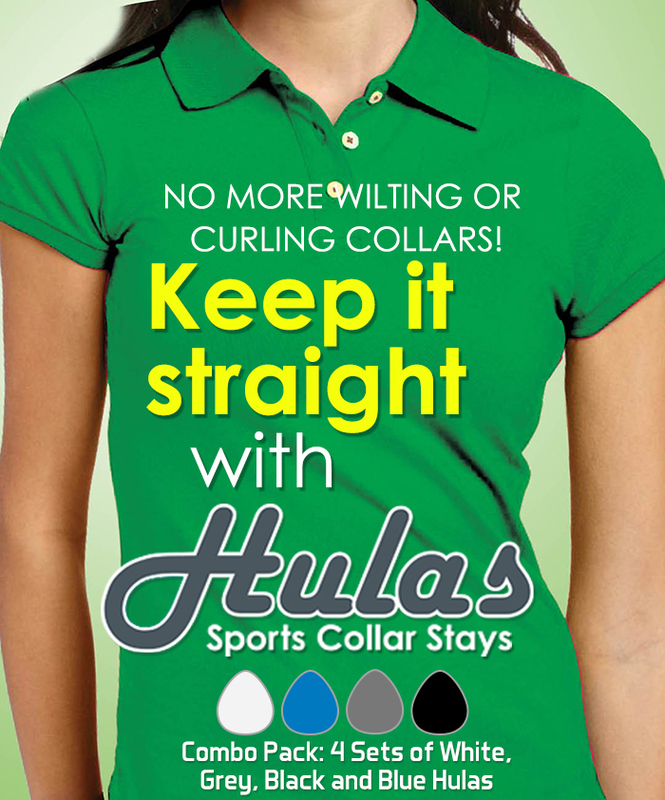 Sports Collar Stays by Hulas are designed to fit invisibly beneath your collar and keep it sharp and straight all day. Say goodbye to curling and wilting collars forever. Simply peel and stick the adhesive backside of the sports collar stay beneath the collar and you’re done. Turn sloppy into sharp in less than a minute. It’s as simple as that to get your collar to look like a million bucks. Look and feel your best all day knowing that your collar looks its very best for whatever good fortune may come your way. Be confident in knowing that all day and night, your sports shirt will look like it has just come off the hanger. Having a fantastic look while you play or attend a sports event is very important to everyone. It reflects well on you and the first step to doing this is keeping your collar in the right shape with hulas collar stays. They are the best collar stays and you will be amazed at how easy they are to use and how well they keep the collar in place, giving you a fabulous look all day long. After you have finished using them for the day, pull the stays off and then put the clothing into the washing machine. The collar stays should not be washed. You can reuse one collar stay as many as three to five times. The reuse also depends on the material of your sports shirt. Adhesive sports collar stays are unlike anything that you have seen in the market. They are better than the plastic and the metal types, as they are so easy-to-use. They can be used for different types of sportswear. Even when you are wearing a jacket over the sportswear, our stays will keep the collar firmly in place so that it does not hang loosely over the blazer, giving you a neat and smart appearance. 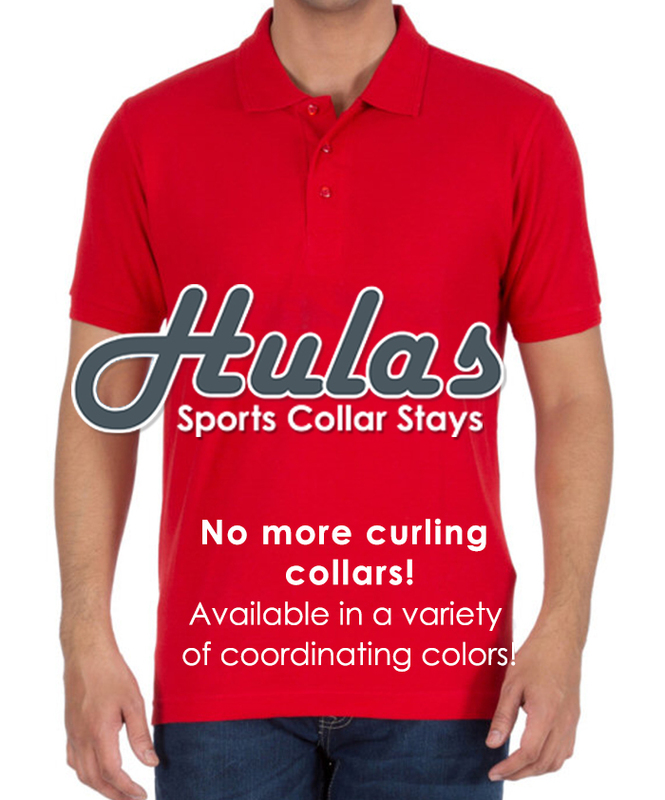 Previous What are the benefits of using Hulas Sports Collar Stays?